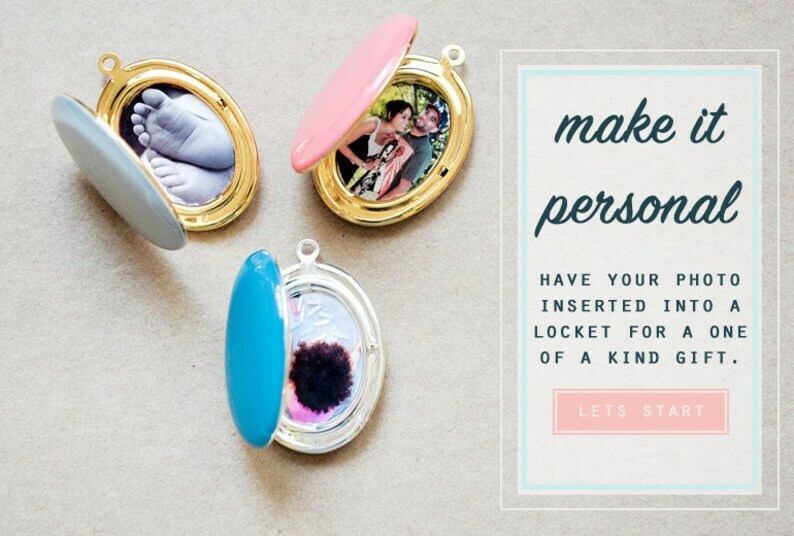 I'm happy to now offer an easy way for your personal photo to be placed inside any locket! Not everyone has photo editing software, materials, and sometimes just the time needed to fiddle with photos. 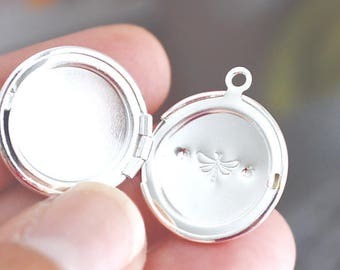 By purchasing this listing with any locket, all you have to do is simply send me a photo of your choice and I'll take care of making sure your memory is beautifully displayed inside when your locket arrives at your door. For a new mom, a growing family, your sweetheart or keeping a memory of someone special, adding a photo to your locket makes this a piece of jewelry you (or your recipient) will treasure for a long time. The photo of your choice will be printed on professional glossy photo paper. 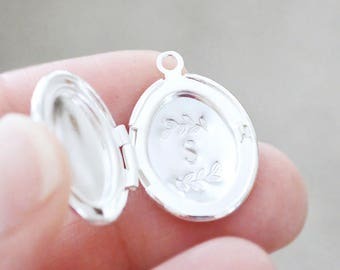 The photo will be securely placed into the locket photo setting, but not permanently mounted so the photo that can be replaced as often as desired. Inside the locket, there are 2 empty recessed areas to mount your favorite picture(s) of your own choosing. Find the best quality photo with the main point of focus centered in the image frame. 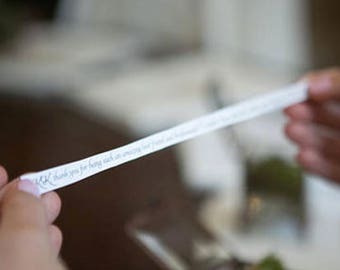 This will ensure the final result will be a well orientated, clear, crisp photo once its been cropped and reduced in size. Please note: If more than minor edits are needed to ensure your photo is bright & focused, or will result in poor cropping, I'll will contact you and request a better image to be submitted. Using the listing images as examples, these can serve as a guide for suitable cropping results. These examples are shown with using large lockets. Ideal photo = well lit, focused, simple background with space for cropping. → Add this listing to your cart WITH the locket you would like the photo placed in. If you are purchasing a necklace that has for example 2 lockets and you would like a photo in each locket you will need to purchase 2 quantities of this listing. 3 individual lockets, 3 quantities, ect. Absolutely beautifully done. The photos are centered and perfectly sized.